Who Cares About Suburban Public Schools? Syracuse Mayor Stephanie Miner introduced Cuomo by citing a Siena Poll that found 56 percent of New Yorkers believe the state is going in the right direction. After the speech, I spoke with Southampton Town Councilwoman Bridget Fleming, the Democratic candidate for New York State Senate against incumbent Republican Sen. Kenneth LaValle. 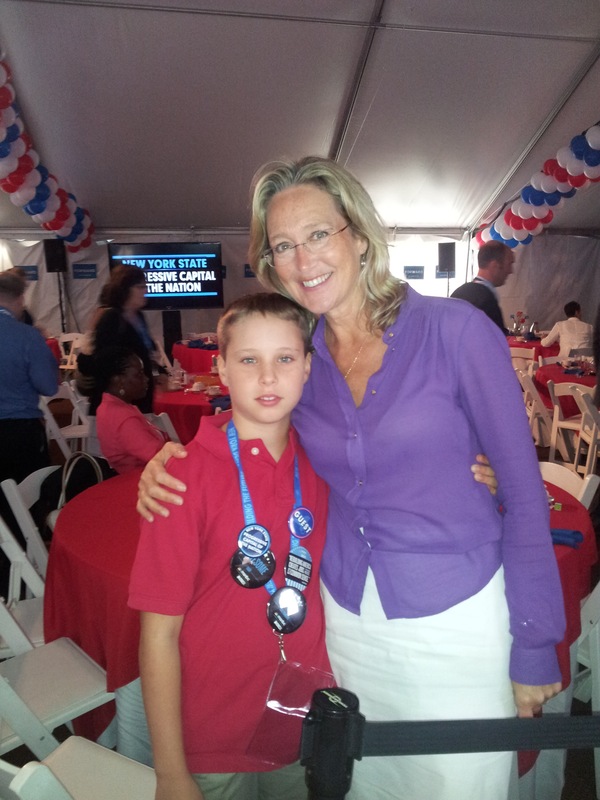 Fleming was attending her first convention with her nine-year-old-son Jai, who attends Sag Harbor Elementary School. 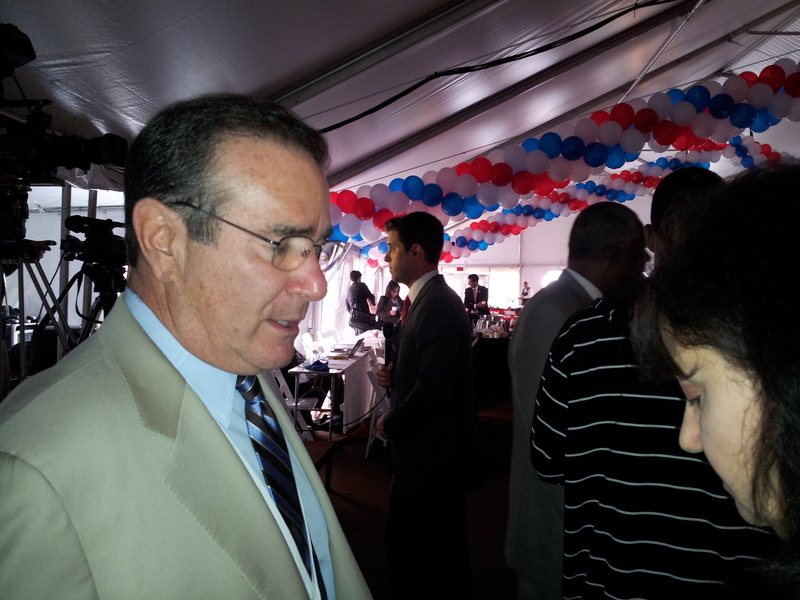 Lawrence C. Levy, executive dean of the National Center for Suburban Studies at Hofstra University in Hempstead, N.Y., was at both the Republican and Democratic conventions and we chatted about how neither party is currently talking about addressing the needs of suburban schools. He noted that this year a subset of this group, which he referred to as CEMGA – College Educated Not Going Anywhere – because of the recession, don’t trust anyone. Zogby said his poll indicated that at the present time, there is a small group of young people — 10 percent – who say they may vote for Gary Johnson, a libertarian.